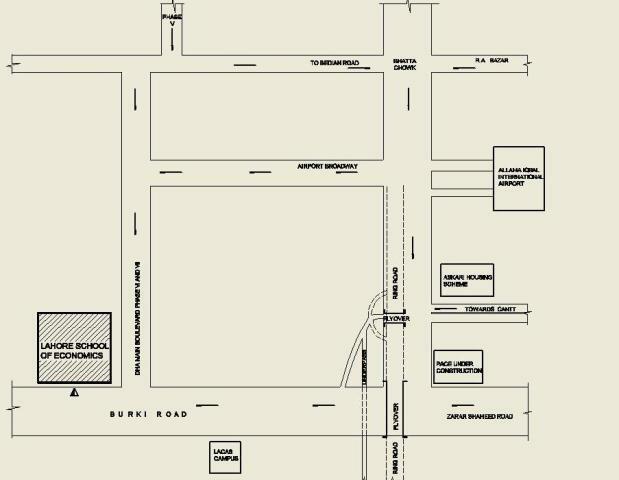 At Lahore School - April 2010’ appeared in print today. Get your own copy. 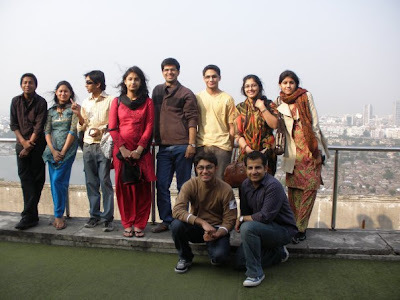 The South Asian Economics Students Meet (SAESM) is a discussion forum for South Asian undergraduate students to interact and introduce fresh international perspectives on economic development, motivating contemporaries to think beyond textbooks. In particular, this conference is an attempt to discuss the impact of economic development on different aspects of South Asian economy-agriculture, industry, trade, infrastructure, poverty and entrepreneurship from the perspective of a learning economics student. The meet attempts to bring together the students pursuing the undergraduate program in economics in South Asian countries and provide them a platform to learn about the development of this region. This year SAESM returned to Dhaka with much bigger anticipation as the reputation of the conference has grown over time. 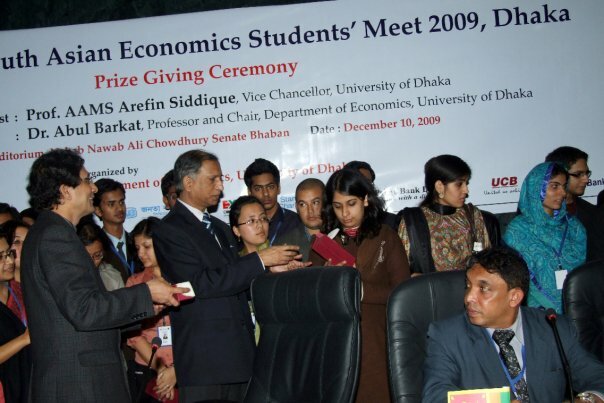 It was held on Dec 9th and 10th 2009 by the Economics Department of the Dhaka University. SAESM primarily comprised three categories: Theme paper submission and presentation, the Budding Economist competition, and the Quiz competition. At SAESM 2009 five countries namely Pakistan, India, Nepal, Bangladesh and Sri Lanka participated with each country having a delegation of ten participants. Team Pakistan consisted of two students from the Lahore School of Economics and eight students from Lahore University of Management Sciences (LUMS). 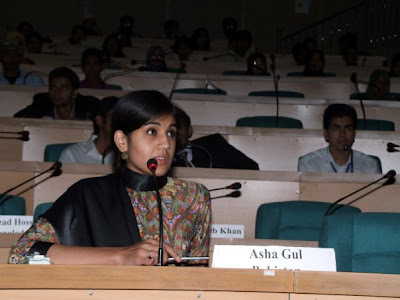 Tawha Ahmed (BSC IV sec A) participated in the theme paper submission category and presented a paper on the topic of SME Development while Asha Gul (BSC IV sec A) contested the Budding Economist category. 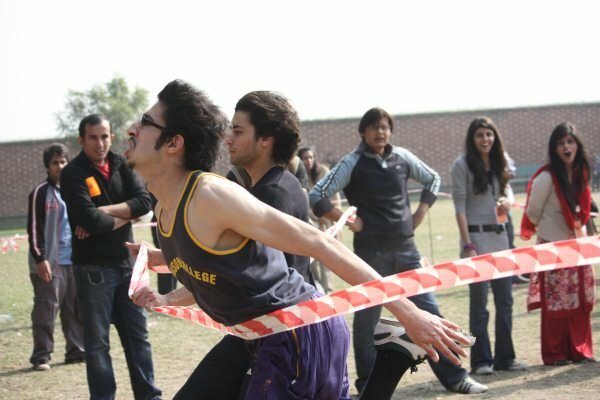 The Sports Society held their 1st field sports event “the Lahore School Sports Fiesta” on 2nd Feb,2010 at the football field . The event witnessed field sports for both males and females like 50m, 100m, 200m races, sack race, Tug of War, football free style and High Hell race for girls. Tug of War was the main attraction for the audiences and participants. Ayehs Akram won the high heel race, 50 meters race was only for girls in which Batool, Ayesha Nkram and Natalia Naveed were top three participants, 1st position 100 meters (males) top three contestants were Hussain Ali, Raza Sheikh and Mohid Sharif. 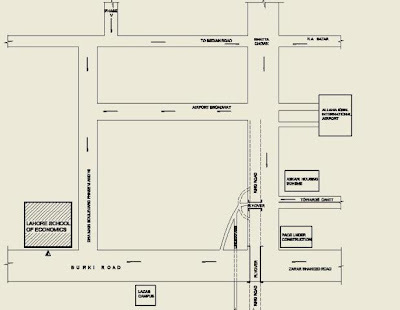 Lahore School Annual Conference on Management of Pakistan Economy will be held on April April 22-23, 2010. Theme of the this year's conference is "Development Challenges in the New Decade." Seminar Pakistan 1951-2001: The Forgotten Asian Economic Success in progress now. Lahore School of Economics Center for Research in Economics and Business (CREB) is organizing a seminar by Dr. Mathew McCartney on Monday April 5, 2010 at Mahmood Chaudhry Library.